Over the weekend, Salt Lake City Mayor Jackie Biskupski married her partner Betty Iverson in what appeared to be a lovely ceremony. The news media took notice in part because, let’s face it, how often do you see a lesbian mayor from Utah get married while in office? 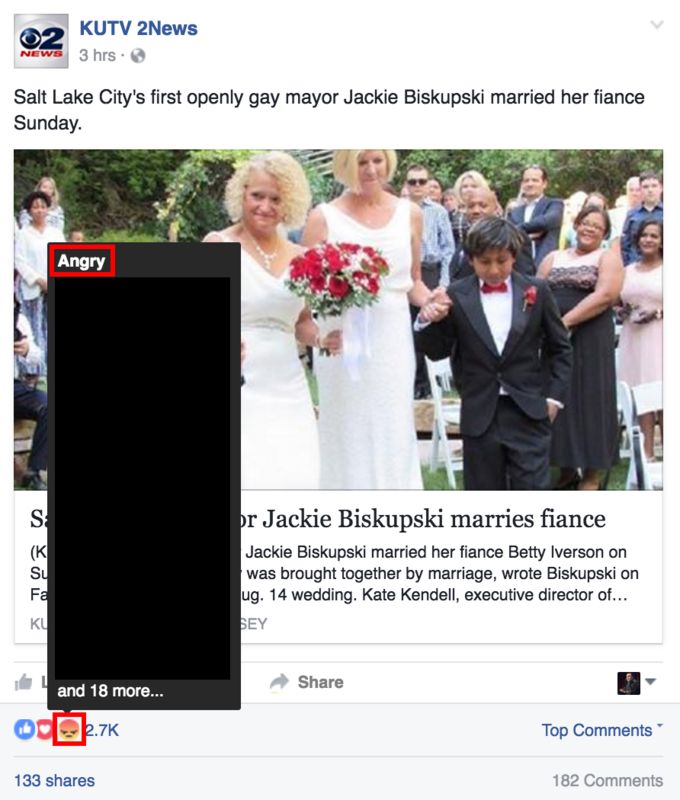 Dozens of people are angry! I know it’s only a small fraction of all the reactions, but who looks at a wedding photo and thinks, “This pisses me off”? And then publicly declares it?! It’s Utah. I’ll give you one guess.